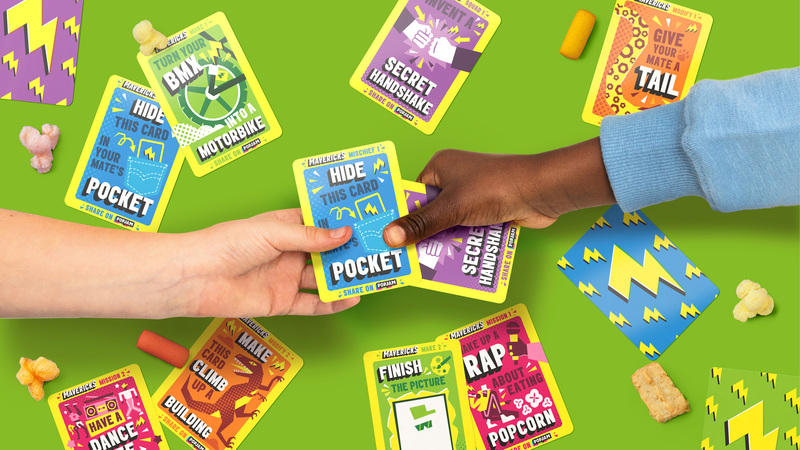 To ensure the brand was truly for kids, rather than just another ‘kids brand’, JKR set about the challenge by looking at the world through kids' eyes. 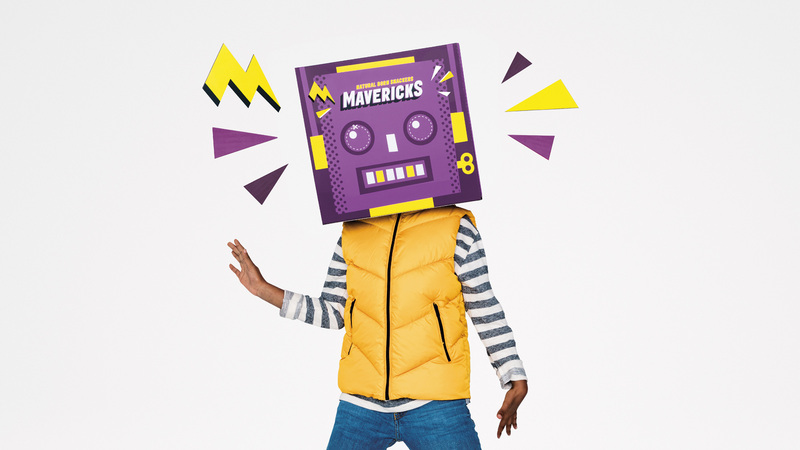 Where brands in this space have traditionally focused on reassuring parents ahead of empowering kids, Mavericks sought to do the opposite. 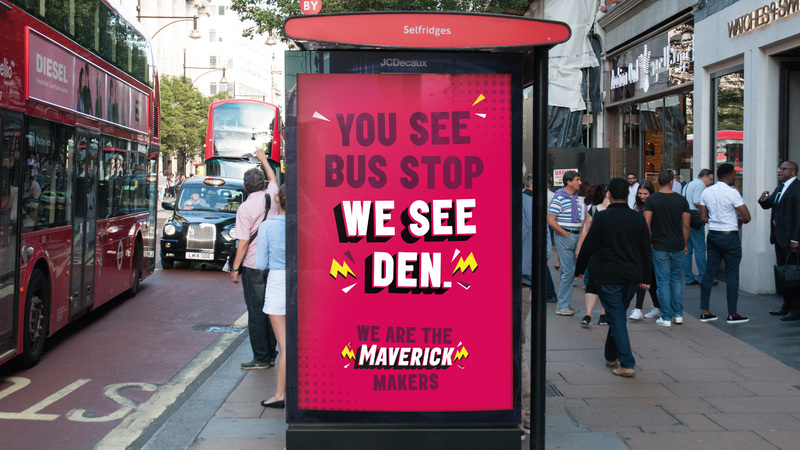 As a result the tagline ‘We’re the Maverick makers’ was born, acting as a rallying cry alongside copy lines such as ‘You see bus stop, we see den’ and ‘We’ve been to Mars, we’ve won a medal, we’ve climbed a mountain in a cape and now we’re hungry’. 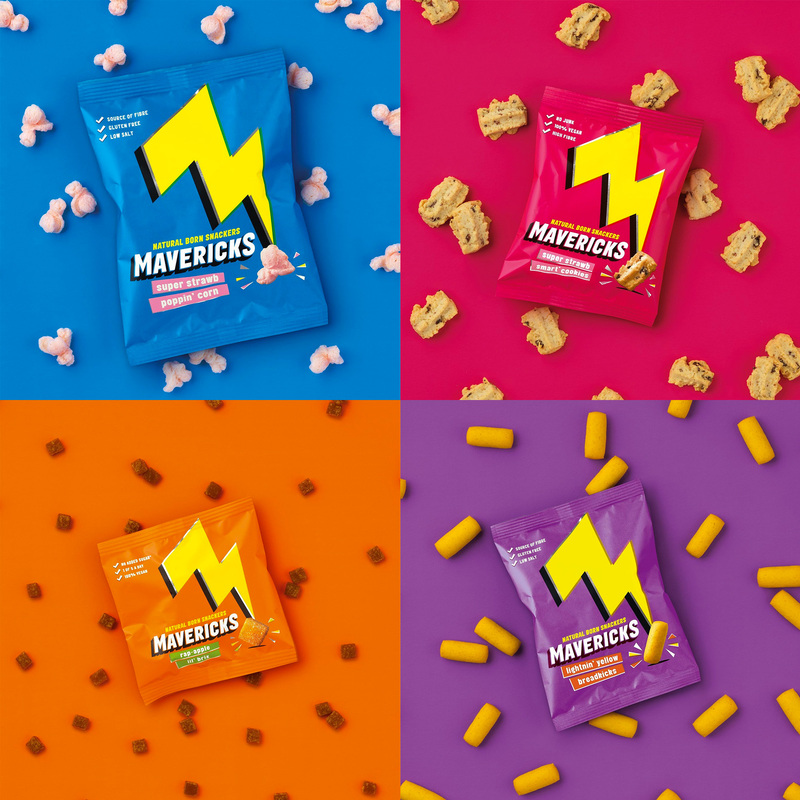 Combined with design elements like a dramatic lightning bolt ‘M’ and a vibrant colour palette, the brand identity and experience seeks to capture the kids' imagination whilst providing the information on the all-natural, non-GMO and low-sugar ingredients that parents want. 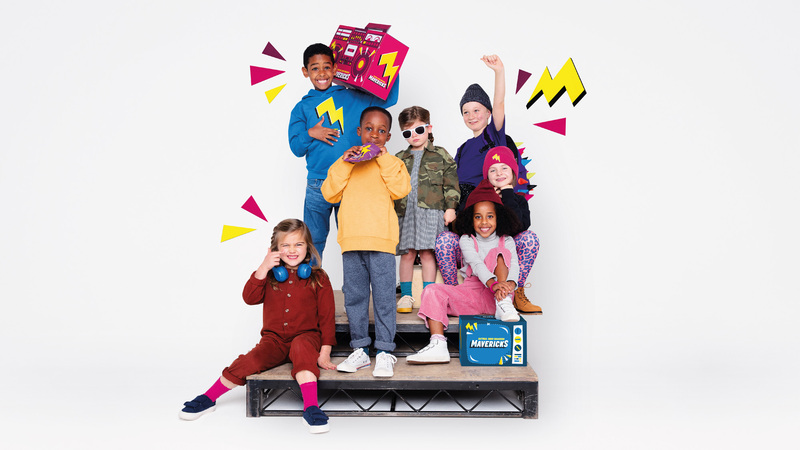 Launching direct to consumer initially, the website encourages subscribers to pick and mix their weekly or monthly snack order, with each delivery box doubling up as a DIY boombox or a wearable robot head, all with the goal of encouraging play. 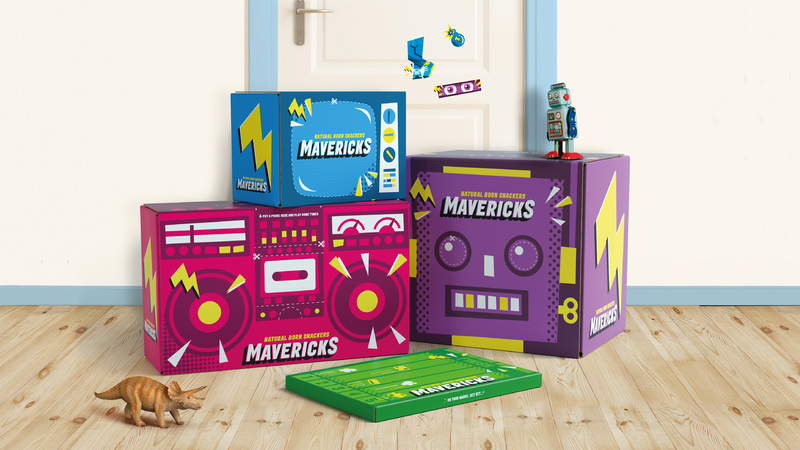 Each box also includes perks like collectible mission cards and limited edition sticker sheets for the Maverick Makers to swap and share with friends. The wordmark on its own is good; I like the shadow going in the opposite direction it usually goes (down and to the right) and the multiple layer approach makes it more exciting than it would be without. The addition of the lightning bolt “M” adds, literally, the spark this needed to be more fun and memorable. 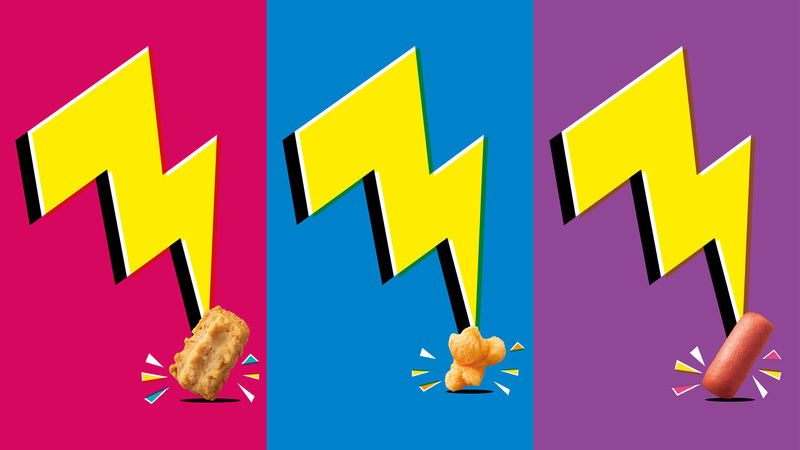 (Interesting that yesterday’s snack Noted post also used a lightning bolt.) It’s set at just the right angle to read as an “M” and a bolt and I like how it hits the photo of the snack on the packaging. The large boxes are great and will surely help build word of mouth on social media as people start receiving their orders. Overall, an energetic and kid-focused approach without pandering to them or their parents. (Est. 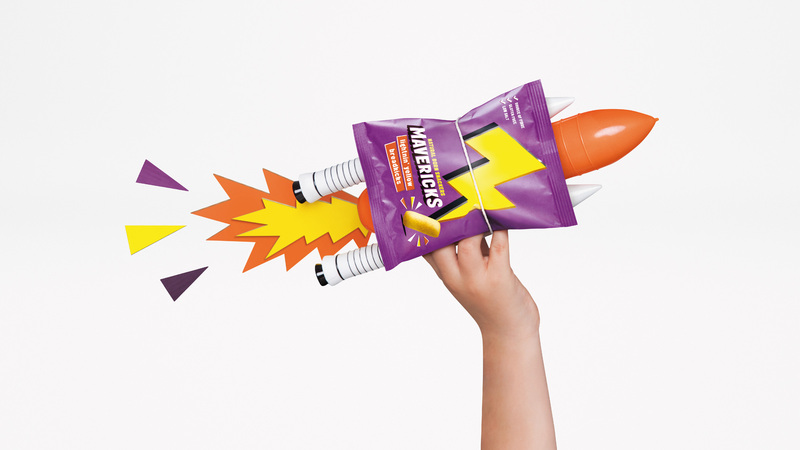 2019) \"Mavericks Snacks is a healthy, junk free kids snacking brand created to fuel den-making, vine-swinging and pirate-catching adventures! We colour outside the lines, move to a different beat and aim to disrupt in a big way. 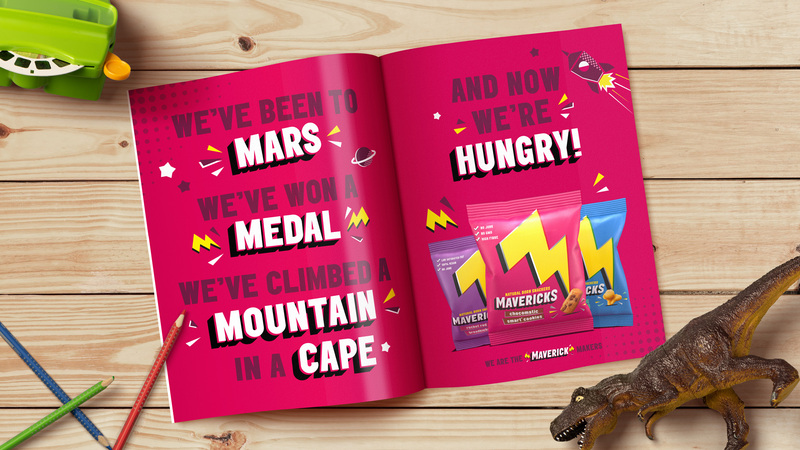 Recognising the increasing childhood obesity problem and the severe lack of kid's healthy choices, we set out to create a fun and educational brand which provides nutritionally balanced, delicious snacks. Mavericks Snacks are always 100% natural, vegetarian and under 100 calories per snack, just as change4life recommends.\"